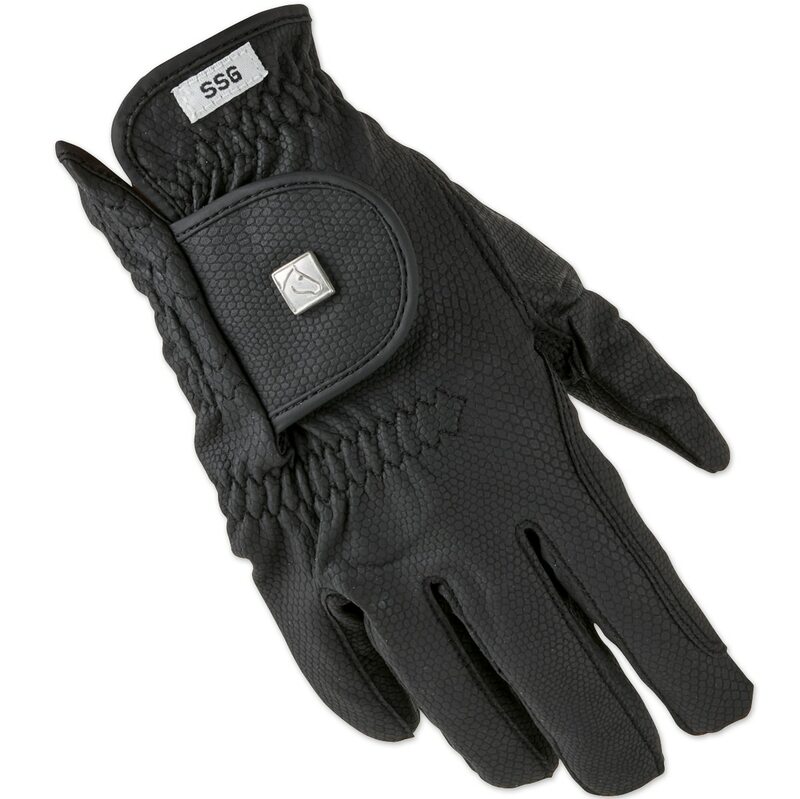 The SSG Silk Lined Soft Touch glove is the most comfortable lined glove you will try. No bulk, extra comfort. Silk - natures best natural insulator! Hook and loop wrist closure for a secure fit. Machine washable. 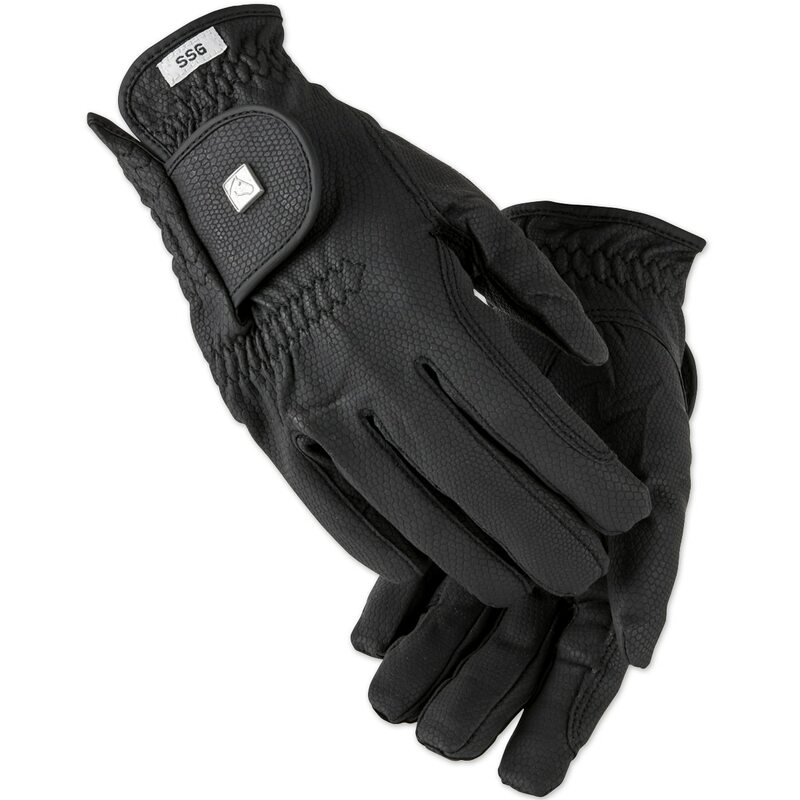 Summer just got a whole lot cooler with the Noble Outfitters™ Perfect Fit Cool Mesh Gloves! The best-selling Perfect Fit Riding Gloves from Noble Outfitters are now available in a warm weather version with breathable Cool Mesh. The Roeckl Madrid Glove combines functionality with a sporty and modern design. The discreet piping and fashionable trim combined with high quality materials and a sophisticated fastener make for an outstanding performance glove. This glove is cell phone compatible. SSG Silk Lined Soft Touch is rated 4.4 out of 5 by 33. Rated 3 out of 5 by Fancy from Fingers seem to run short. They felt a little bulky to get a good feel on the rein. Maybe need to order a half size up. Rated 5 out of 5 by Leda from Perfect gloves! The silk lining of these gloves regulates temperature really well! They keep my hands warm when it's chilly, but aren't too hot when it's warmer out. And they're lightweight so I still have a good sense of the reina. Rated 5 out of 5 by Doug from Great Features I purchased these gloves for my Granddaughter who is on the UVA Equestrian Team. She requested these gloves AND dearly loves them. I should have purchased two pair, one as a gift, another as a Christmas stocking stuffer. My comments below are based on her extreme satisfaction. Rated 5 out of 5 by chipmunk from Comfortable and not bulky I bought these as a gift for a friend and liked them so much I had to get a pair for myself. They are comfortable without the bulk so you can feel the reins. Rated 5 out of 5 by wyldeboysmom from great winter riding gloves These gloves help keep my fingers warm while riding, but aren't so big and bulky that I can't feel the reins. I wouldn't recommend these for really frigid temps. If temp is around 30 or higher, they are great. I also haven't noticed any smell sock odor after wearing them several times. Rated 5 out of 5 by Tracyw0707 from Love these gloves! These are not for super cold days but for cool days these are awesome. I don't like to ride with bulky gloves and I still have the feel of the reins. Great buy! Rated 4 out of 5 by Patricia from Nice gloves I like the silk lining and think it's a good product for the price. However, I think they run small. I'm afraid I'm going to have real cold wrists this winter! Rated 3 out of 5 by DonnaM from Not the same:( Nice gloves, but the silk lining is not the same as the previous version. They're "ok".... The older design was perfect. Rated 5 out of 5 by GizmoMom from Soft and perfect! Bought these gloves and quality is excellent! They fit perfectly, true ti size and quality is great. Have worn it only a week but seem better quality than others.